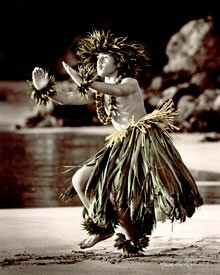 Hawai`i has an incredibly rich and colorful history. Many wonderful museums, historical sites and heritage districts preserve and perpetuate Hawai`i’s unique cultural heritage. They provide connections to the past and opportunities to learn about pivotal events that have shaped Hawai`i. The State’s cultural heritage has much to offer residents and visitors, and the rest of the world. You’ll a find a treasure trove of museums and cultural attractions statewide and on the Hawai`i Museums Association Web site. Bishop Museum, which is one of the few museums in the world that combines art and culture, natural history and ongoing scientific research. As the state’s largest museum, it houses millions of artifacts, documents and photographs about Hawai`i and other Pacific Island cultures. Hawai`i Maritime Center, a great place to dive into learning about Hawai`i’s maritime history and how Hawai`i voyagers sparked a revival in traditional Polynesian navigation throughout the Pacific. 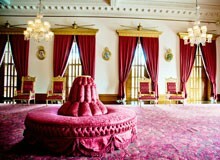 `Iolani Palace, the nation’s only royal palace. 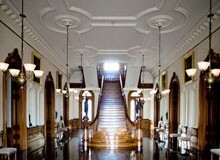 `Iolani Palace was the official residence of the Hawaiian Kingdom’s last monarchs. Other historic cultural attractions include the Mission Houses Museum, Washington Place, U.S.S. Arizona Memorial Museum, and the Battleship Missouri Memorial. Hana Cultural Center and Museum (Maui), Kaua`i Museum, Lyman House Memorial Museum (Big Island), and the Moloka`i Museum and Cultural Center. Throughout the year in Hawai`i, you’ll find a vibrant and world-class arts and culture scene. Home to nearly 1.3 million people and one of the most ethnically diverse populations on earth, Hawai`i is a place that takes pride in celebrating the unique culture and heritage of its people. The depth and beauty of its heritage and Native Hawaiian culture can be experienced through the many cultural events that range from music and dance performances to gallery exhibits. A variety of film and music festivals—including `ukulele and slack key guitar festivals and performing arts events are held outdoors under the stars. Visual arts exhibits featuring local and other world renowned artists are always featured throughout the islands. There are also a multitude of ethnic festivals held throughout the year that celebrate the traditions of the many cultures that comprise Hawaii’s community.